I am so proud of my wife. She has come such a long way. While she still has work to do, she is no longer quite the rule follower that she used to be. Best of all her progress is something that Travel Essentials just might learn something from. On our recent Mexico adventure, we ran in to a little trouble with our carry-ons. We were boarding an Aeroméxico flight from Mexico City to Queretaro, and at the top of the boarding ramp, an Aeroméxico employee pulled us aside and said we’d have to gate check our bags, as the plane was going to be “very full.” It seemed pretty arbitrary, as other passengers had bags of similar size, and yet we were the only ones that were stopped. Nevertheless, he wrapped a gate check tag around the handles of each of our Briggs & Riley 21” carry-ons and gave us each a claim receipt. What to do? We did not want to check our bags. It goes against everything we stand for! On top of that our bags are within Aeroméxico’s carry-on regulations, so we shouldn’t have to check them, right? Here’s where it gets crazy. While we waited on the ramp to board, my wife, the rule follower, said “I’m just gonna cover this tag up with my hand and walk right on board.” Whoa! What just happened? So that’s what we did. We held our bags with our hands cleverly covering up those gate check tags and walked right on board and nobody said anything to us – not the baggage handler at the end of the ramp, not the flight attendant who greeted us as we boarded, and not the flight attendant at the back of the plane who was assisting other passengers. After easily fitting both bags into the overhead compartment, we simply sat down and got ready for our short flight. 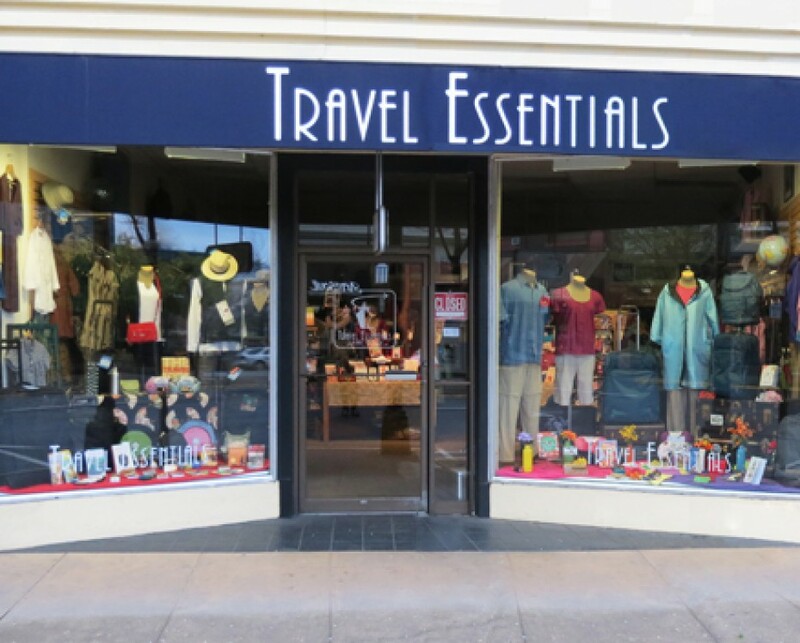 No muss, no fuss and no checked baggage! Nancy may have sweat through her short sleeved top with worry, but that’s what deodorant is for. So the next time an airline employee tries to make you gate check your bag, you just might consider looking deep inside yourself and finding your inner Nancy Bestor and see if you can get away with not following their arbitrary rules and random enforcement. I’m constantly amazed at the sizes and quantities of carry-on bags making their way onto planes these days. 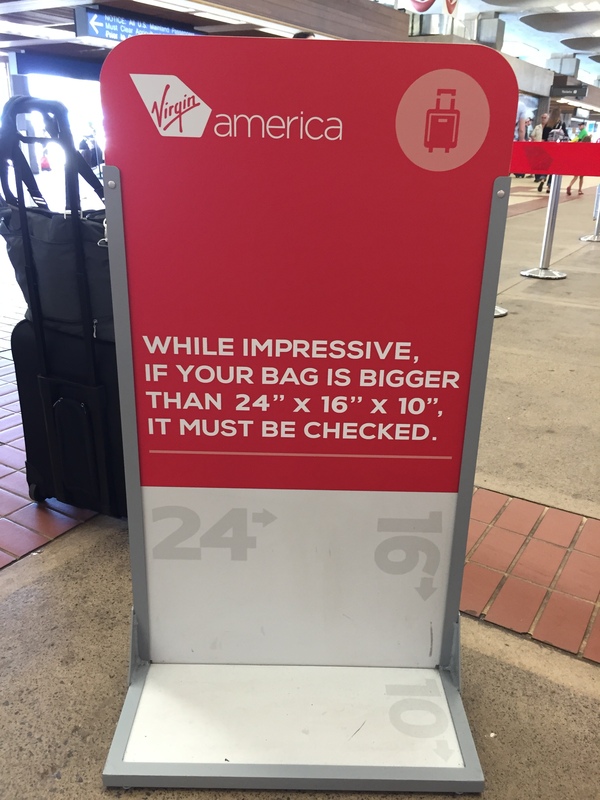 Yes, there are rules related to both the maximum size of a carry-on and the number of carry-ons one passenger can take aboard. But rules are only good if they are enforced. Some gate agents seem to be enforcing these rules, and others don’t seem to care at all. While most people seem to follow carry-on regulations, I regularly see plenty of people with overstuffed and over-sized suitcases—that definitely would not fit into the carry-on sizing box at the gate—trying with all their might to shove them into the overhead bin. I’m not really complaining, mind you. I carry a regulation size suitcase because I don’t need any extra stress in my life. And if I was trying to carry-on a bag that was against the rules, you can bet I would be sweating bullets. 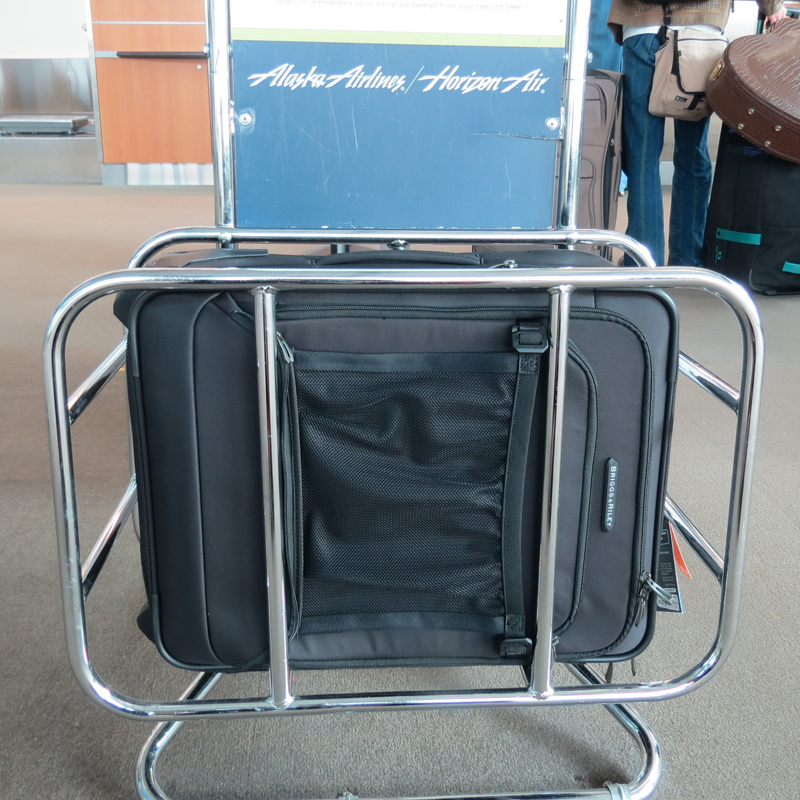 Here’s another carry-on issue that perplexes me. In the last year or so, before every flight I’ve taken, the gate agents have asked if there are passengers willing to check their carry-on bag at the gate. They always say “the flight is going to be very full,” and “there will not be room for all the carry-ons in the overhead bins.” I’m starting to wonder if this isn’t a bit of a scam. Perhaps airlines are instructing their gate agents to make this announcement because we all know that if fewer people take on carry-on bags, the plane is bound to board faster, and thus is more likely to take off on time. And as many times as I have heard that there will not be room, I have never once not been able to find a spot for my bag, even when boarding in group three or four. It does make me wonder.